Whether you’re roasting meats, chicken, or vegetables, these roasting pans perform beautifully. Its clay form heats up evenly and keeps food warm long after it is removed from the oven. Since they are completely natural, the resulting food is healthier, tastier, and moist. 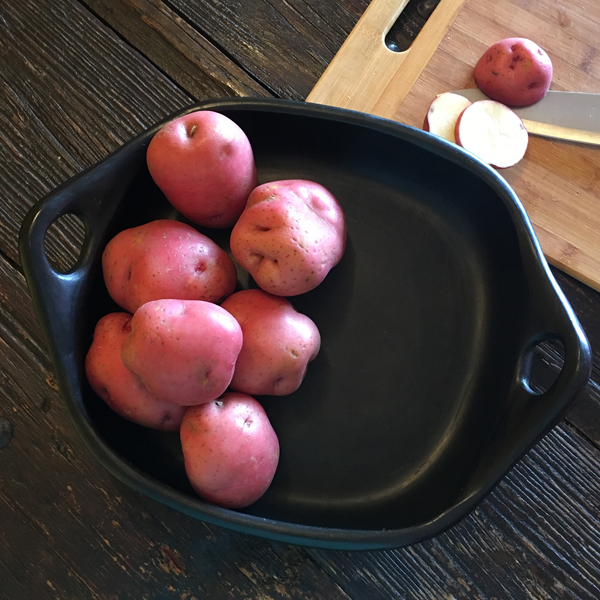 The stark black color provide for a stunning presentation, especially for whole poultry, lasagna or other baked pasta dishes. This is a great recipe to enjoy lower carb lasagna by replacing the lasagna noodles with thinly sliced zucchini.